(+ schools performance streamed to schools across Newfoundland). 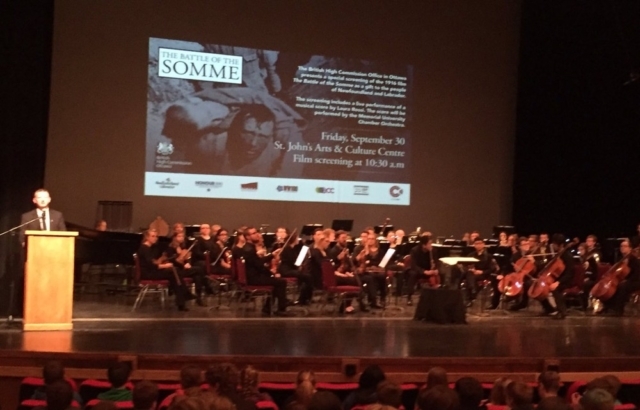 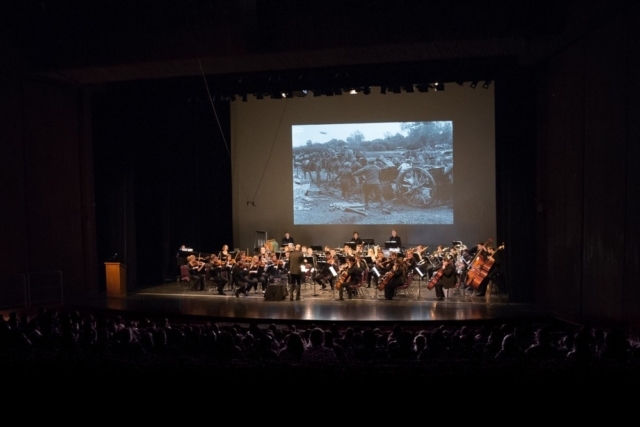 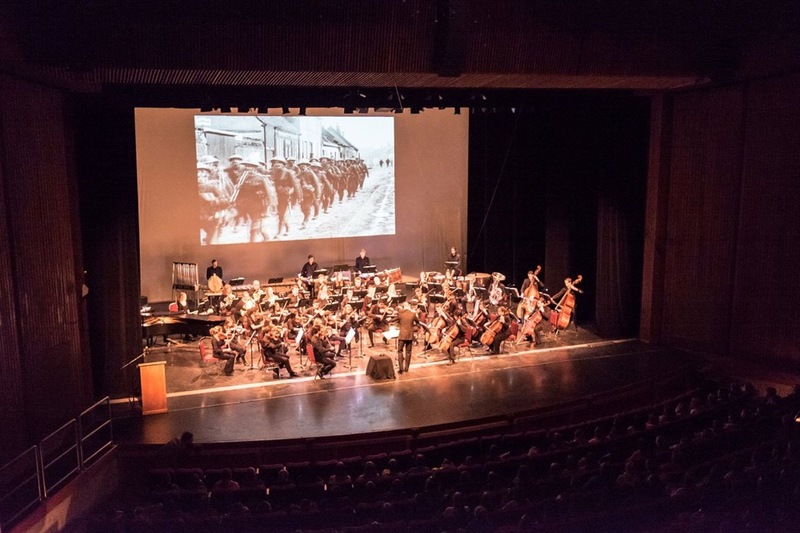 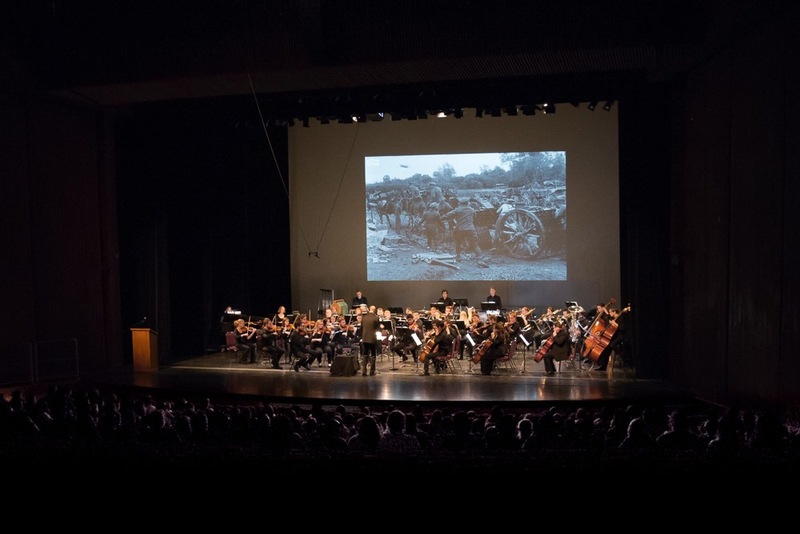 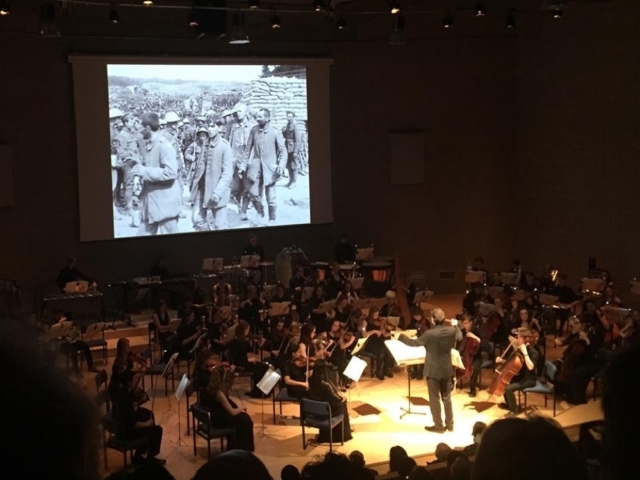 The British High Commission, in partnership with the Government of Newfoundland and Labrador’s Honour 100 Initiative and Memorial University, hosted a free public screening of the 1916 film The Battle of the Somme along with a live performance of Laura Rossi’s score. 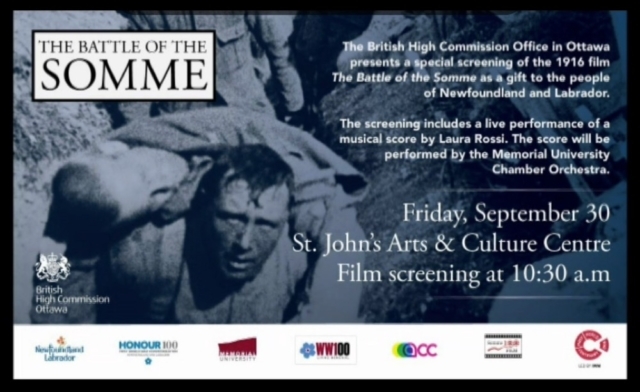 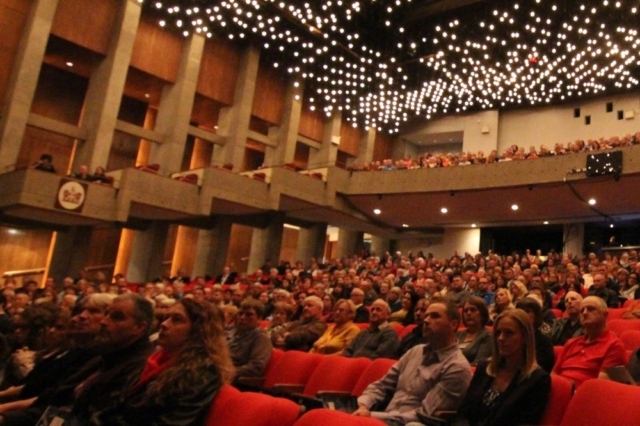 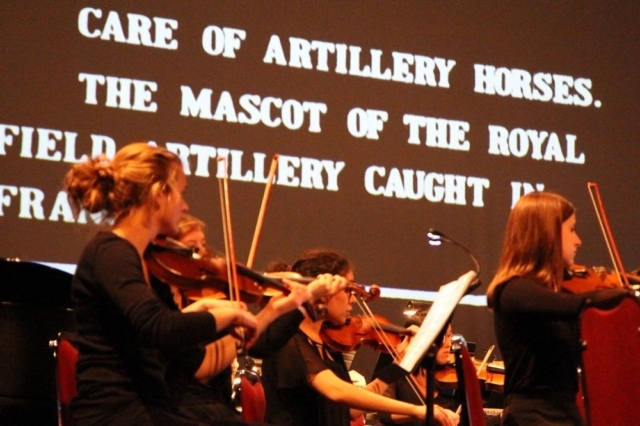 The moving score, commissioned in 2006 by the Imperial War Museum, was performed live at the St. John’s Arts and Culture Centre (ACC) by the Memorial University Chamber Orchestra under the direction of Vernon Regehr. 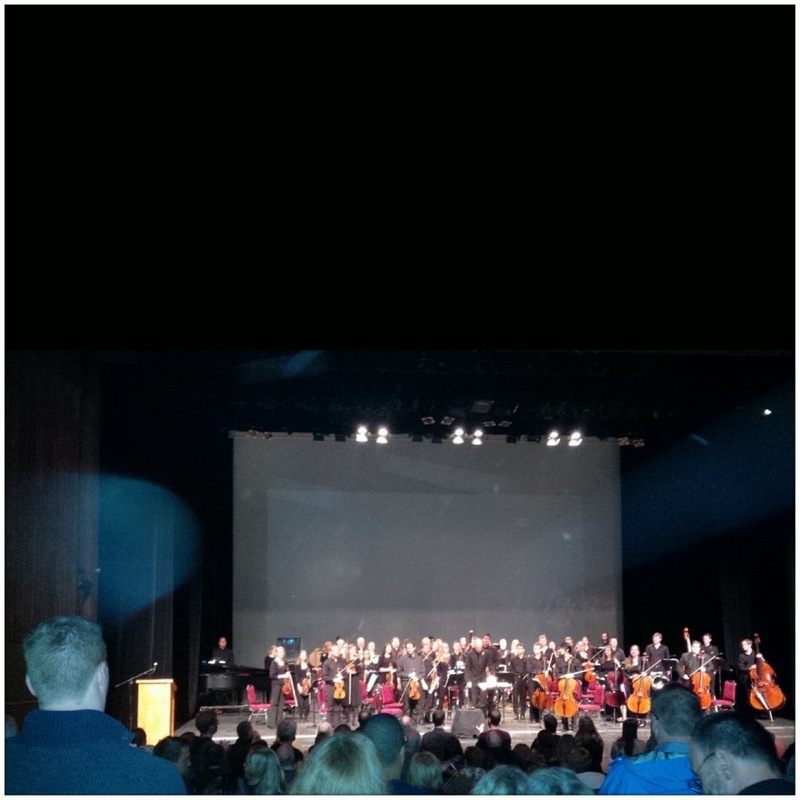 They also performed a live screening in the day time for school children which was streamed to schools across Newfoundland. 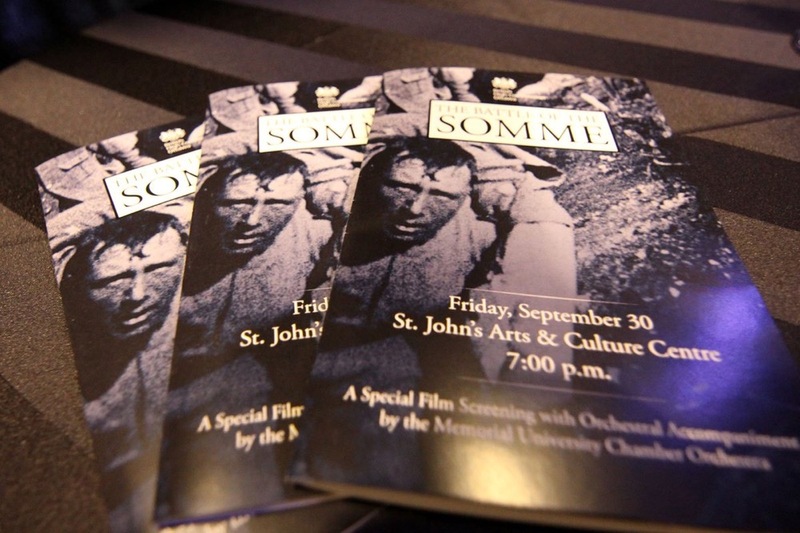 The film depicts the Somme Offensive, which began on July 1 and included the Battle of Beaumont-Hamel — well known in the province as a deadly day on which hundreds of Newfoundland Regiment soldiers were slaughtered. The film is considered unique for being the first to show audiences real-life combat while the war raged on. Dr. Luke Ashworth, chair of Memorial’s WW100 steering committee. 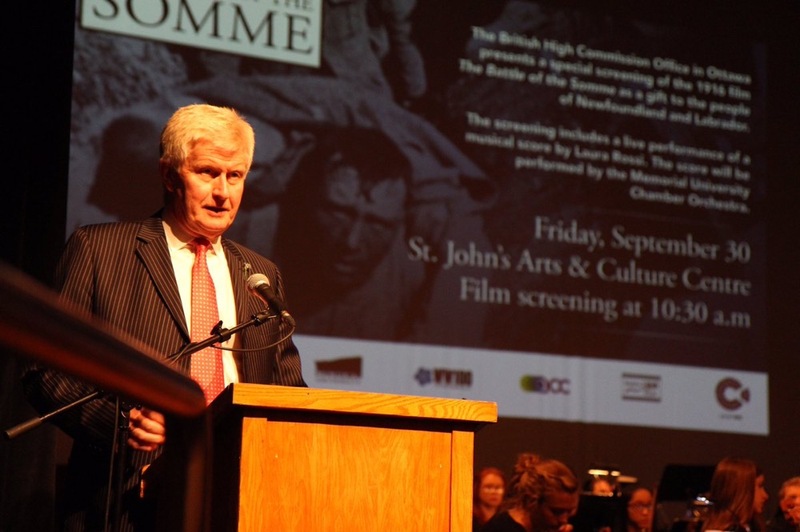 A century after it was produced the Battle of the Somme film still resonates with audiences, as we witnessed in St. John’s, Newfoundland and Labrador.